We Treat Benzo and Opioid Dependency. Emotional Well-being, Medication Tapering, Withdrawal Support. Talk Now with a Professional Therapist. Easy, Affordable, Private. Our digital behavioral health program is personalized to support people living with medication dependency, stress, anxiety, insomnia, sadness and other emotional challenges to live a better and healthier life and meet their medication tapering and emotional well-being goals. PRIVATE & PROFESSIONAL. Lucid Lane allows you to connect with our counselors and professionals in a safe and private environment. Anything you share is confidential. Our therapists are experienced professionals go though a rigorous vetting process. AFFORDABLE. Pay a low flat fee for unlimited counseling with your counselor. Counseling doesn't have to be expensive. Lucid Lane online therapy is typically 80% cheaper than face-to-face therapy and there are several payment options to choose from. CONVENIENT. Talk with your therapist whenever and wherever you are, on web or mobile, without scheduling, traveling or worrying about privacy. Communicate with your therapists as often as you want and whenever you feel it's needed. Help is available at your time and your place and pace. Free Assessment. Chat live with a Lucid Lane Coach that will explain how online therapy works and answer any questions you have. Get Matched & Start Talking To A Therapist. We’ll match you to a therapist based on your needs. Your therapist will be in touch with you immediately. You now have access to your primary therapist who will be there for you, assisting you and helping you with your problems (Enjoy Unlimited Messaging). Receive replies to your messages just in minutes, not hours. Chat with your coach wherever you are, whenever you want. Better outcome. Your care team will collaborate with your prescribing doctor to establish your medication tapering goal and then work with them on going to ensure a successful medication taper. Your care team will manage your emotional needs (stress, anxiety, sadness, grief, anger or pain) and lead you towards a more healthier and productive life. High-quality therapy and support over video, from licensed, accredited therapists and coaches over a HIPAA-compliant, secure video-conferencing meeting in a safe and confidential environment. 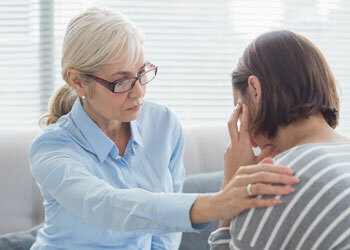 Talk therapy helps you explore the cause of issues like stress, anxiety, depression, and more. 6 month program. Monthly subscription. 5 days/week. Daily check-in and unlimited daily chat with your coach where ever you are, when ever you want. Personalized Plan and Monthly Goals for Emotional Well-Being and Medication Tapering. Your privacy and security are paramount. Lucid Lane has board-certified (and board-eligible) psychiatrists. Every person at Lucid Lane takes your confidentiality and security very seriously. Our systems, product and procedures are HIPAA compliant.